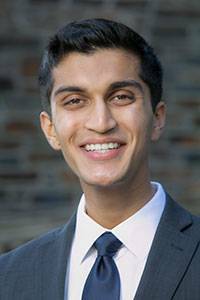 On November 17, Duke University seniors Kushal Kadakia, Ariel Kantor, and Claire Wang were selected for prestigious 2019 Rhodes Scholarships. These three students and the 29 other recipients were chosen from among 880 applicants from colleges and universities across the United States. Clearly, they are stellar young scholars and individuals. What else do they have in common? Throughout their undergraduate education, they have deeply engaged with the intellectual communities of Duke’s university-wide interdisciplinary institutes and initiatives. Committed to pursuing research and policy to make healthcare more accessible, Kadakia is majoring in Public Policy and Biology, with a minor in Global Health administered by the Duke Global Health Institute. A Truman Scholar and Faculty Scholar, he has served as chair of the Honor Council, vice president of Student Government, and a voting member of the Board of Trustees. As a member of the Bass Connections North Carolina Medicaid Reform Advisory Team, he provided recommendations to state legislators. “Collectively, Bass Connections has been the centerpiece of my Duke experience – providing a common thread to weave together my scientific training and my policy interests into an impact-oriented research experience that is now the foundation for my future career,” he said. Taking this work further, Kadakia served as an intern on the policy team of North Carolina Governor Roy Cooper to work on Medicaid transformation, and he collaborated with Professor of Law Barak Richman and three other undergraduates to develop county-level case studies detailing the challenges in North Carolina healthcare. The group submitted its findings to the Department of Health and Human Services as the state seeks to improve rural access to healthcare and other Medicaid reform. “I am still humbled, and a bit incredulous, at how much policy knowledge and intellectual authority Kushal exhibits – and how much respect he commands – before even completing his bachelor’s degree,” Richman said. Kadakia was selected for the Huang Fellows Program at the Duke Initiative for Science & Society, in which students learn how to integrate ethics, policy, and social implications into their scientific research. 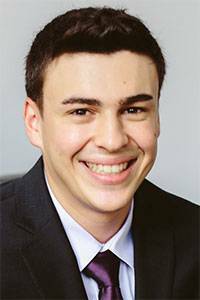 He served as a 2018 summer intern at the Duke-Margolis Center for Health Policy, working on projects studying the translation of international health innovations to the U.S. context. He has also been a research assistant for various Duke-Margolis projects, including Accountable Care Policy Gaps and Implications of Global Experiences with Accountable Care. For his Public Policy honors thesis, Kadakia is exploring how an accountable care healthcare framework could repurpose international innovations to improve the U.S. healthcare system. Rhodes Scholarships cover all expenses for two or three years of study at the University of Oxford. Kadakia will work toward the M.Phil. in Evidence-based Social Intervention and Policy as part of his preparation for a career in medicine and public service. Kantor created an interdisciplinary major through Program II around biotechnology, policy and bioengineering. 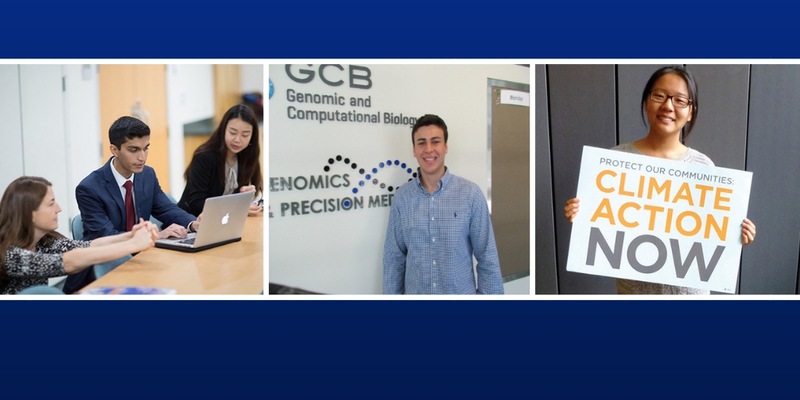 He was a 2016 GCB Summer Scholar at the Duke Center for Genomic and Computational Biology (GCB). Mentored by Charles Gersbach, he pursued a research project to develop and characterize Cas9-fusion systems and examine their ability to control gene expression. He has continued working with Gersbach to develop new applications for CRISPR to facilitate epigenome editing. Kantor has also worked with Susanne Haga, faculty member at GCB and the Duke Center for Applied Genomics and Precision Medicine. His senior thesis examines developing technology-based therapies for orphan diseases. His work with Haga resulted in a publication analyzing the number and types of pharmacogenetic tests offered by clinical testing laboratories in the U.S. Concerned about human rights and violence prevention, Kantor worked with the Duke Human Rights Center at the Franklin Humanities Institute on programming to facilitate dialogue around religion, violence, and human rights. He will pursue a doctorate in Molecular Biology at Oxford in preparation for a career in gene engineering and translational medicine. 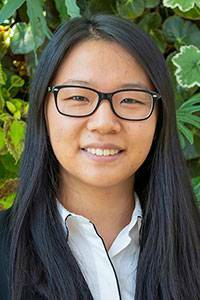 The recipient of Truman and Udall scholarships, Wang is majoring in Environmental Science and Policy and minoring in Economics and Asian & Middle Eastern Studies. Active in the university’s vibrant culture of engaged scholarship in energy and the environment, Wang is currently taking a course on the transformation of the U.S. electric power sector, taught by Brian Murray, Director of the Duke University Energy Initiative; Kate Konschnik, Director of the Climate and Energy Program at the Nicholas Institute for Environmental Policy Solutions, Jim Rogers, former CEO and chair of Duke Energy, and Norman Bay, former chair of the Federal Energy Regulatory Commission. Wang played a leadership role in the Duke Climate Coalition, one of the energy-related student organizations that comprise the Energy Initiative’s Student Advisory Committee. She has also been involved with student campaigns such as Duke Seize the Grid and Duke Renewable Energy Action. At Oxford, Wang will pursue master’s degrees in Environmental Change and Management as well as Global Governance and Diplomacy, toward a career in environmental advocacy. Read related articles on the Duke Today and Duke Chronicle websites. Image at top: Kadakia at an event for legislators in Raleigh organized by the Bass Connections NC Medicaid Reform Advisory Team, courtesy of Duke-Margolis Center for Health Policy; Kantor as a GCB summer intern, courtesy of Duke Center for Genomics and Computational Biology; Wang, courtesy of Nicholas School of the Environment. Photos below courtesy of Duke Today.